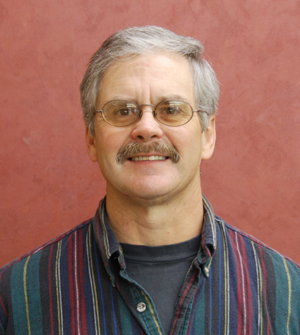 Greg started in the printing industry as a pressman in 1976. Greg began his career working for a couple of midwestern print shops for a few years before moving out to the Seattle, Washington area. Greg continued his work in the trade there for 19 years, working on a variety of press and bindery machines, with most of his time spent operating four color presses. When the big city lost some of its appeal and his focus turned more toward his family, Greg returned to the "good life" of Nebraska, and has worked for Copycat Printing since 1998. Greg stays busy operating the Heidelburg two color press. He also maintains and repairs most of the press and bindery equipment when needed.